It’s hard to beat good cod. 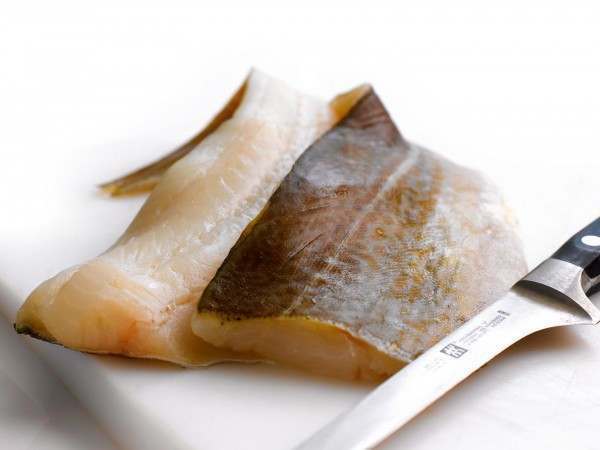 Escoffier, perhaps the most famous chef in history, claimed: ’When it is really fresh and of good quality, the delicacy and delicious flavour admit of its ranking among the finest of fish...’ Our cod fillets are from carefully managed Norwegian and Icelandic stocks, assuring a quality which Escoffier would have recognised. Standard packs contain two cod fillets of equal size. Saver packs contain between four and eight fillets of varying sizes. Looking for something extra special? Why not give our black cod fillets a go sometime? Or you could apply a famous black cod recipe to plain old normal cod... per this cooksister blog. Related links to "Cod fillets"
Bet you can't say that 10 times in 10 seconds! Try something simpler - just make it. From Mark Kurlansky's 'Cod, A biography of the fish that changed the world'.